Help the Zimbabwe Mighty Blind Football Warriors! 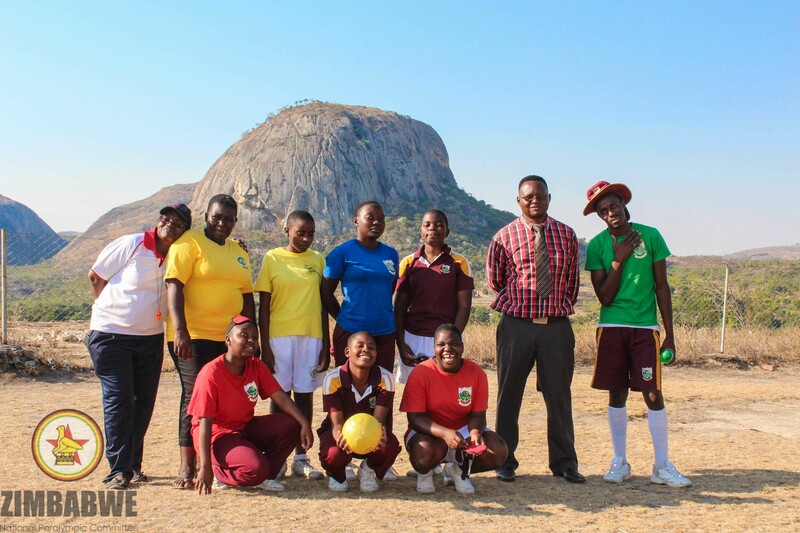 Support six female blind students from Murewa High School Resource Unit for the Blind become the first ever group to represent Zimbabwe at next year's international women’s blind football camp and games in Japan! Do you believe in the power of sport to transform the lives of young people? We do! We as the Zimbabwe National Paralympic Committee are responsible for Zimbabwe's participation at the Paralympic Games and for the development of all disability sports in our country. We are embarking on a grand challenge to develop blind football from recreational to international level for men and women of all ages. We have selected half a dozen students from Murewa High School Resource Unit for the Blind to participate in the 2019 IBSA Women’s Blind Football Camp and Games from 20-25 February in Tokyo and Saitma, Japan. The girls will engage in two days training of learning the rules and basic techniques for blind football, followed by joining the World select team that is compromised of players from other countries to face the Japanese National Team in a match, with 1,000 spectators expected. The final day will include a cultural exchange program to learn about Japanese culture. Accompanying the students are their stalwart teachers, Theresea (second end left) and Constance (end right), who attended our first ever blind football workshop in April at the University of Zimbabwe in Harare. After the training camp and games, we plan to build a blind football pitch at Murewa High School to enable the visually impaired females to continue playing with their classmates and develop a Zimbabwe Women's Blind Football National Team. Additionally, we will endevaour to also bolster the development of men's blind football across all of Zimbabwe's ten provinces through showcase events. The total cost comes to £5,000, which needs to be raised by Sunday 11th November. We appreciate your financial support and want you to vicariously experience this great spectacle in Japan! So, we have some exciting incentives for you to donate! Blind football is one of the few Paralympic sports that integrates people with disabilities together with people without disabilities. Within this sporting arena, we can achieve gender equality and social inclusion; provide quality education; and promote healthy active lifestyles. Both the students and teachers are stoked with excitement, as it is provides them with chance to learn more about blind football; travel overseas; and exchange cultures with other females from around the world who have a visual impairment. Help us reach our target and unearth women’s blind football in Zimbabwe! Use the link here to see the the highlights from the IBSA Women's Blind Football Training Camp and Games two years ago in Vienna, Austria. Receive an official jersey of the Zimbabwe National Team as worn by the players during the tournament! Receive the special privledge of meeting the girls and Zimbabwe's fastest Paralympic 100m athlete Sangeoelihle Ndlovu to discuss blind football; living with a visual impairment; and accessibility as a person with a disability. Excludes travel expenses. Give your employees the benefit of improving their team-building skills and disability awareness through our blind football workshop. Put on our blindfold and trust your colleagues and other senses to play blind football!